All great greetings cards start with a blank canvas. 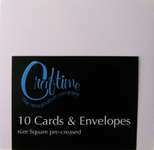 Choose from our range of pre-cut and folded cards (some with matching envelopes) as the base for your project. Our blank cards and envelopes come in a range of colours and shapes to suit your individual project and they're all made from the highest quality cardstock. If you're planning to make you own Christmas cards, you may be interested in the excellent Christmas (or "Holiday") gallery at Hero Arts, where you will find a wealth of inspiration and some really gorgeous home-made Christmas cards. 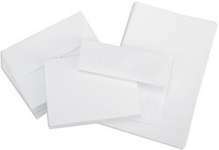 We offer only branded, genuine and original blank cards and envelopes.